MANILA, Philippines - The country's hottest split-screen loveteam of Alden Richards and Maine 'Yaya Dub' Mendoza is making history at the Philippine Arena in Bulacan on October 24, 2015 for Eat Bulaga's charity event. Lola Nidora, played by Wally Bayola officially announced on Saturday the most awaited #TamangPanahon (right time) for the AlDub tandem - no more obstacles as Yaya Dub and Alden will be allowed of whatever they want to do but still need to maintain trust of Nidora. 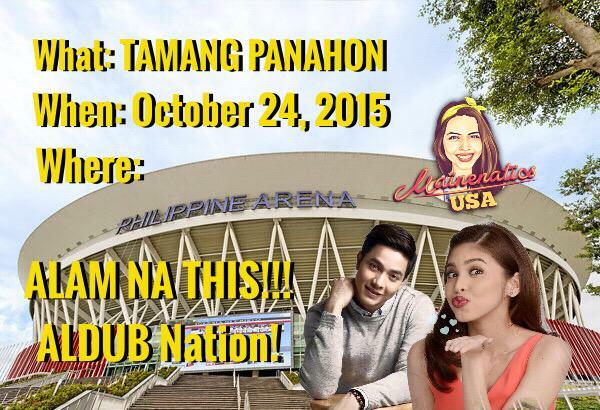 In over 36 years, Eat Bulaga's upcoming event at the Philippine Arena is considered as the biggest so far. It is not only for the #AlDubNation, avid fans of the phenomenal loveteam but the proceeds will go to the chosen AlDub libraries. 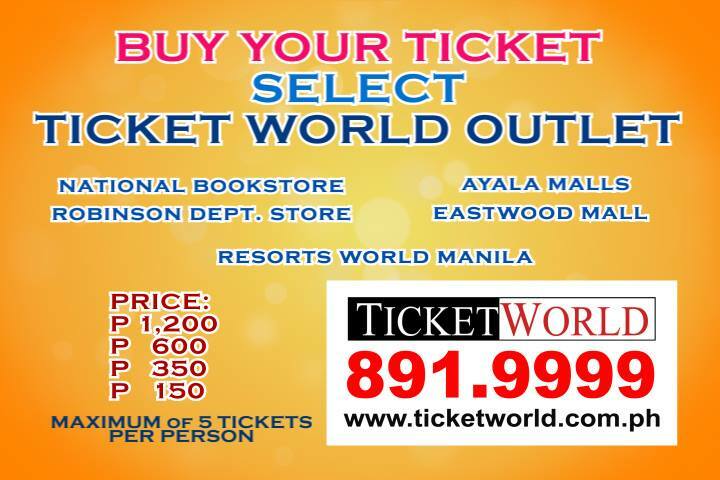 Tickets are now available at select TicketWorld outlets for P 150, 350, 600, and 1200 price. '#ALDUBTheBigSurprise' dominates Twitter-verse Saturday on the grand reveal of Eat Bulaga's AlDub party for a cause next week.